Whoo! Fresh from the Landoven! Looking great too. ^^ all those shiny valves and hatches. Where the best buns come from! As https://inkbunny.net/submissionview.php?id=99373 Illustrates.. now those buns are Finger lickin' good! Never seen her character like this before, but it looks amazing! We all know they pee in the suits. That's one small wet for a lamb... and one giant leak for sheepkind. "Houston, we have a problem! We can't stop here! It's full of stars!" 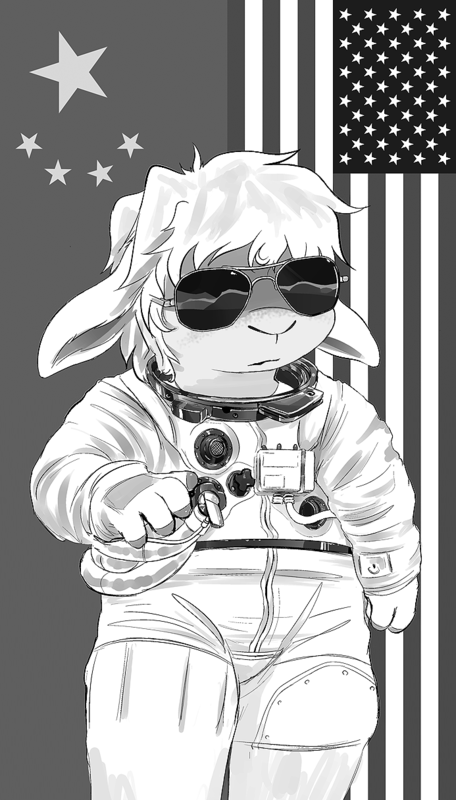 "Why, it must be because we've hired Kubrick for the special effects on all Apollo missions..."
She is not only a wolf-sheep, She is also a Communist-capitalist! this is amazing. You got all my interests here. I am touched. They go right int he suit!